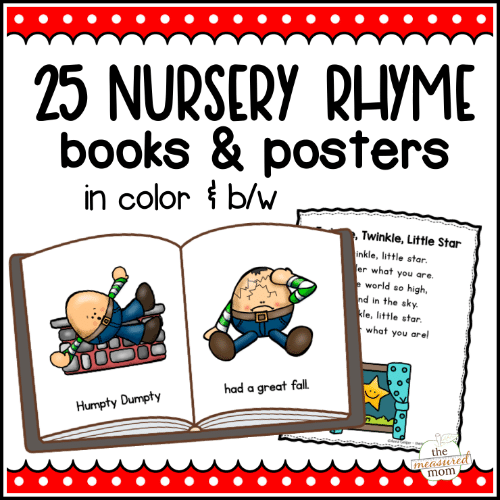 This bundle contains 25 printable nursery rhyme books and posters – in both color and black and white! We love using these little books with new readers. 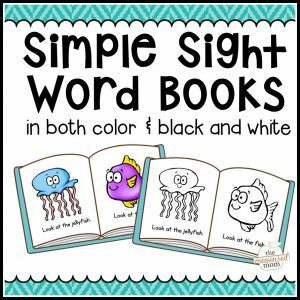 They’re perfect for teaching concepts of print, building phonics and sight word knowledge, and building confidence. If you are a resident of the European Union, please CLICK HERE to purchase this product in our TPT store. 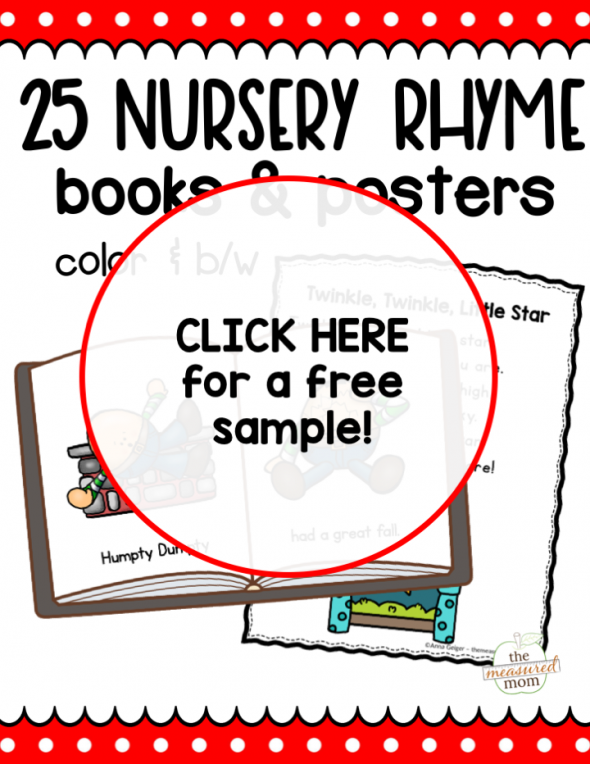 This bundle of printable nursery rhyme books and posters is perfect for beginning readers! 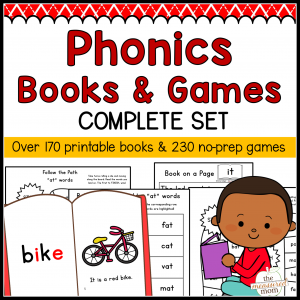 When students already know their rhymes orally, these books help them match voice to print, use beginning sounds to solve words, and build confidence in their reading ability. 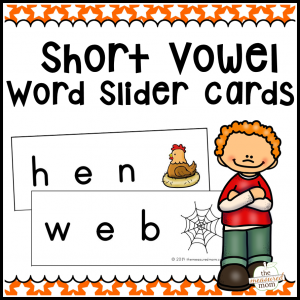 You’ll also love the printable posters, which are great for literacy centers and partner reading. One digital file containing over 25 7-page books in both color and black and white. You’ll also get 25 posters for each nursery rhyme, in both color and black and white. 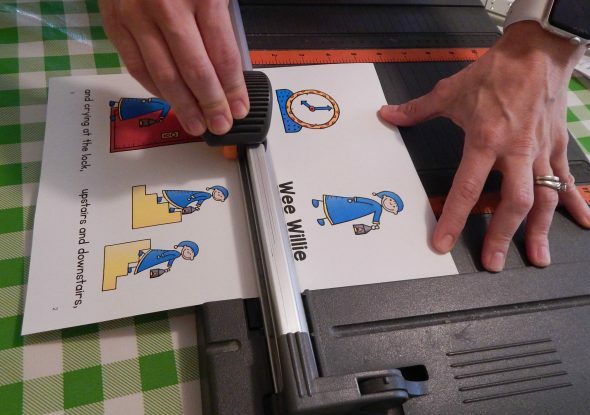 The books are easy to print and assemble. Each book is a single page when printed front to back. 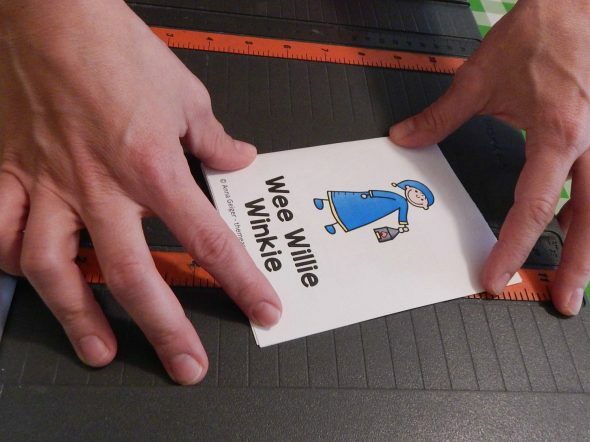 After printing front to back, cut across the horizontal center of the page. 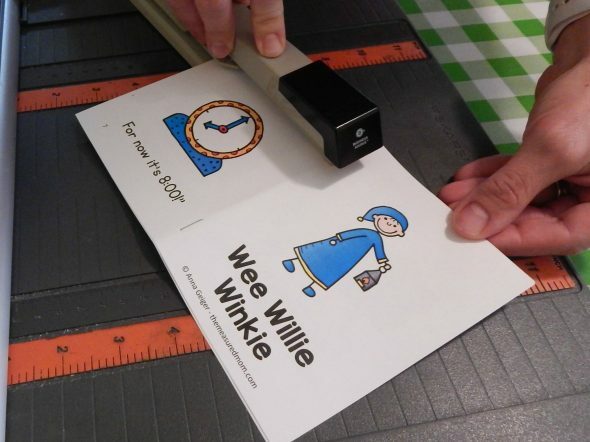 Then fit the book together using the page numbers, and fold. Open back up, and staple with a long-armed stapler.